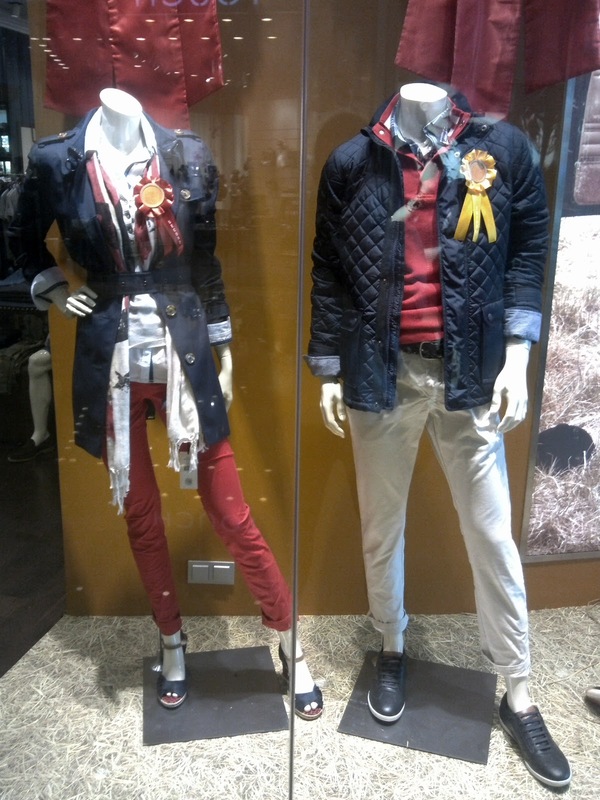 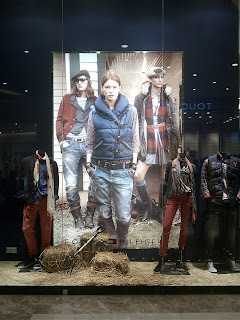 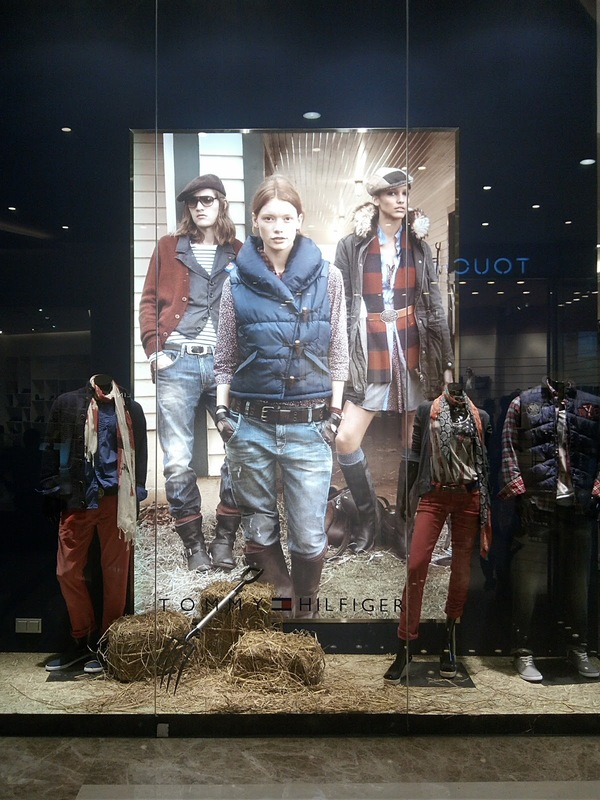 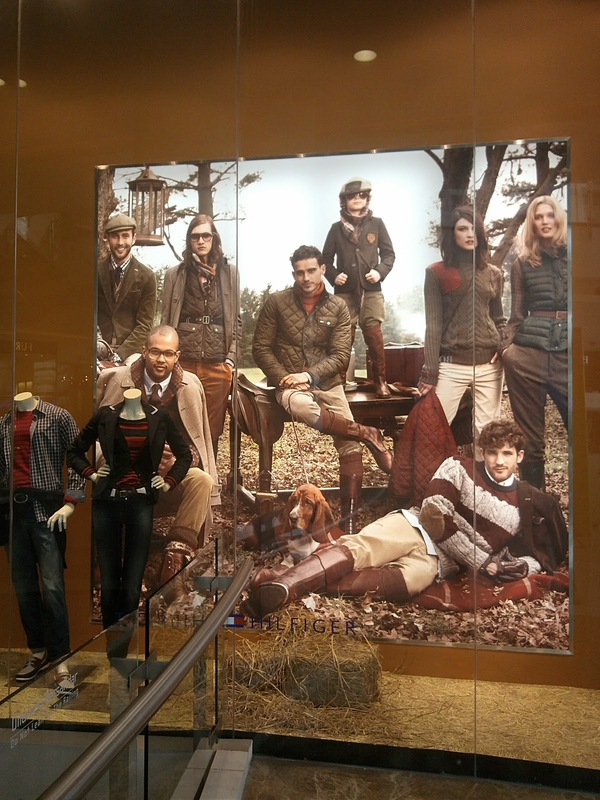 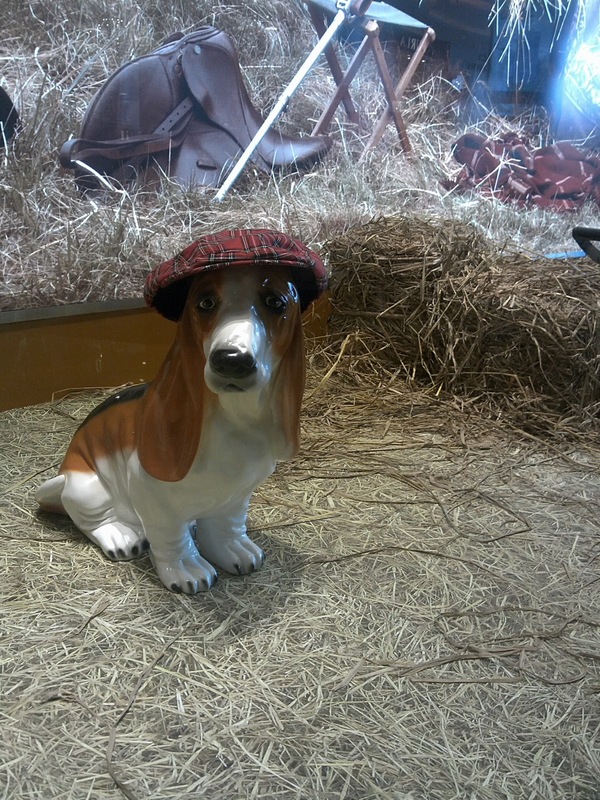 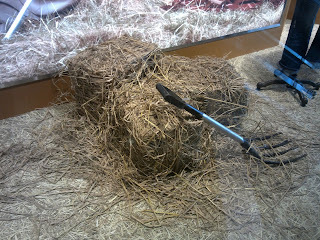 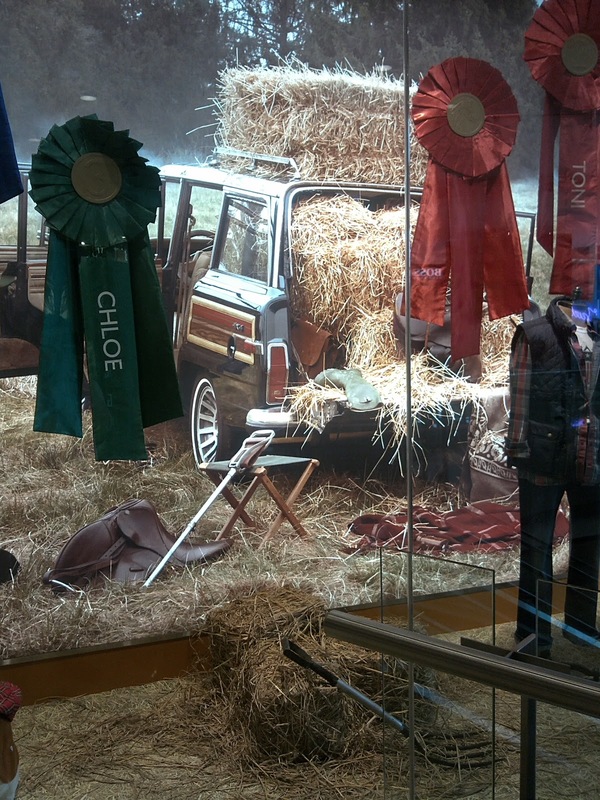 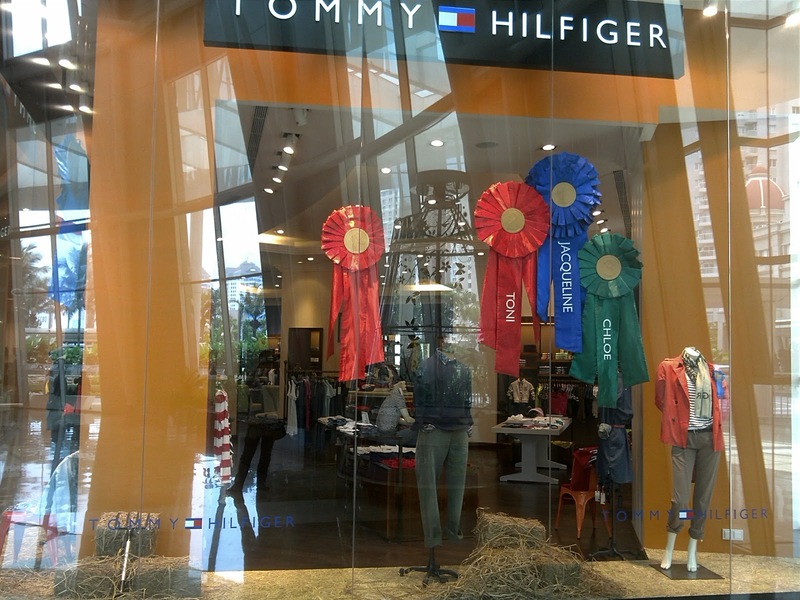 Stacks of hays are spreading and scattered throughout the ground of Tommy Hilfiger window display. 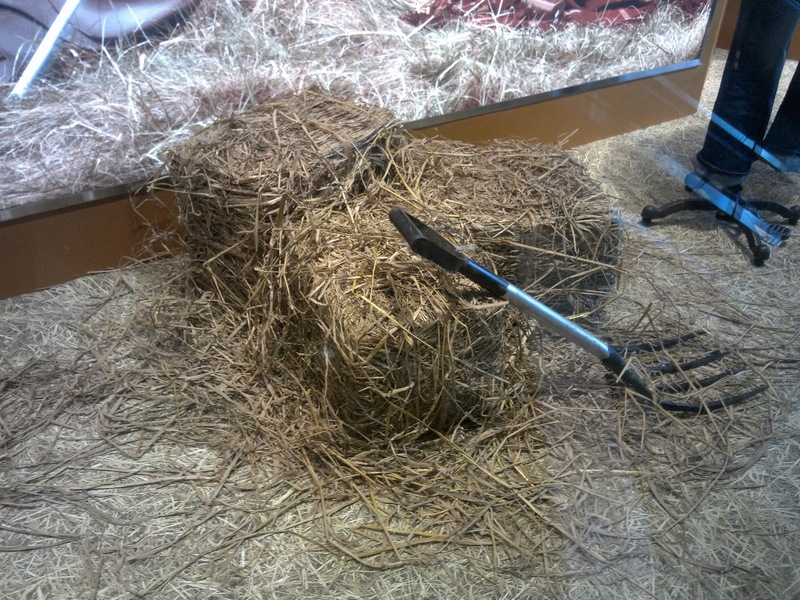 There are three forks laying near the hays as if the user has left them carelessly. 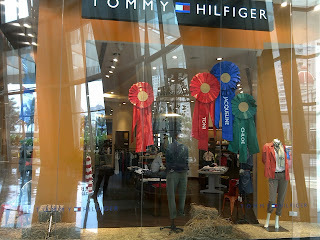 The odd decorations are the giant ribbons that are hung on the ceiling. 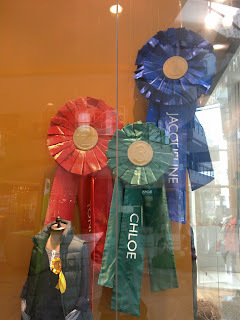 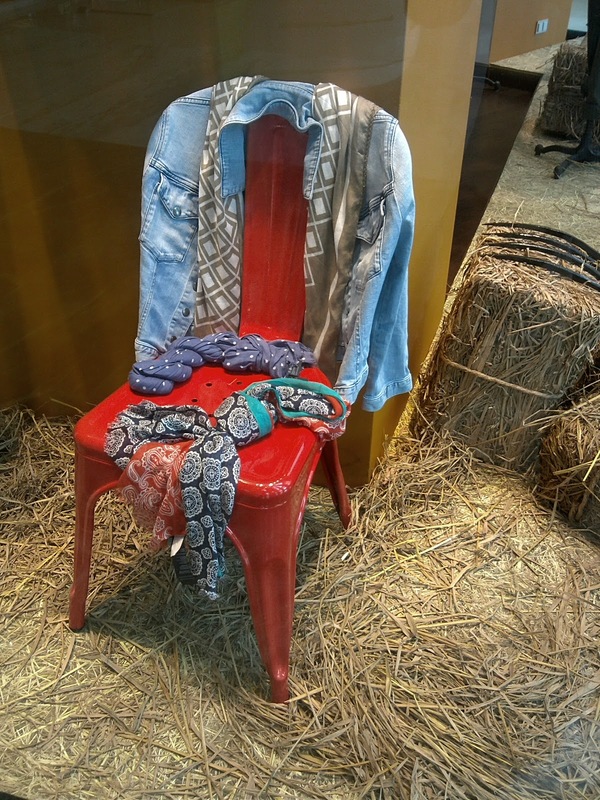 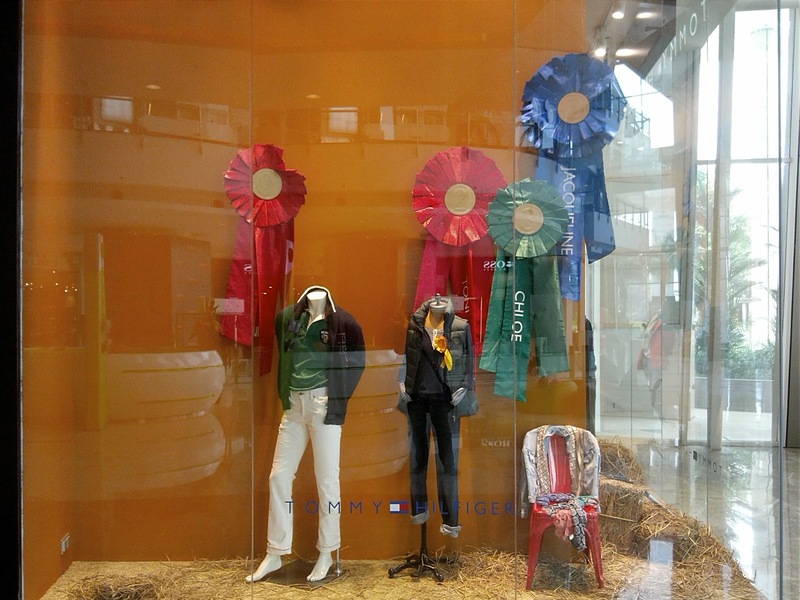 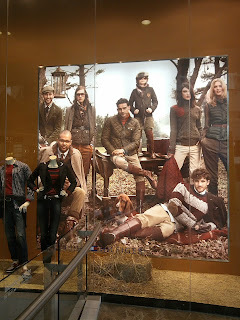 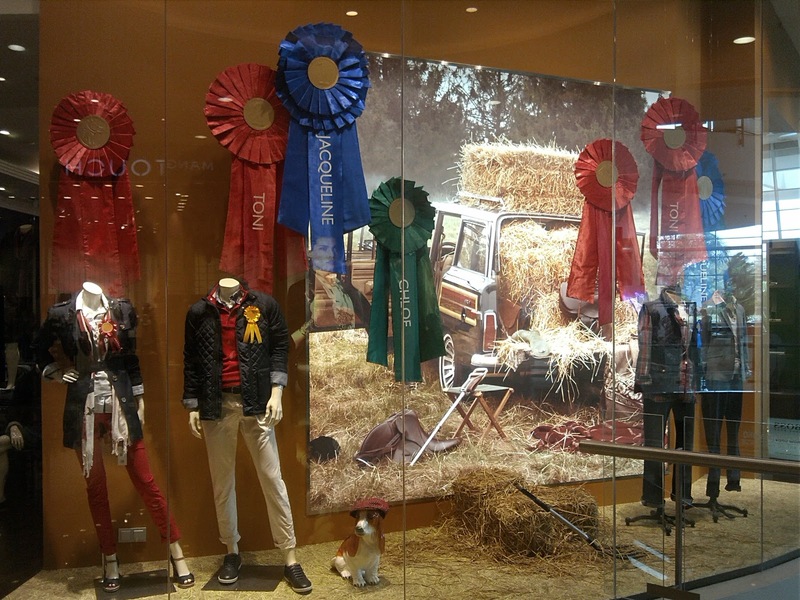 I still cannot find the connection between the hays and the ribbons even, after viewing the Fall/Winter 2012 campaign image of this brand.